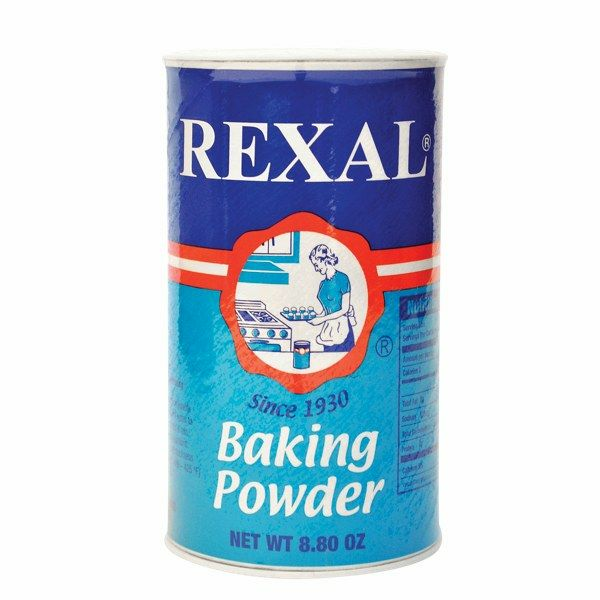 Rexal baking powder, has over 84 years on the market and it�s manufactured with the finest ingredients, having a strict quality control with the raw materials and with the finished product, which assures that its quality is the best. They determine the strength of the Baking Powder by measuring the amount of ( CO2 ) released during the reactions. REXAL Baking Powder releases between 18.0 and 19.8 %. Taking this release as the 100% available CO2, 22 to a 28 % comes from the first action ( reaction in cold mix ), and the rest 78 to 72 % comes from the second action ( reaction in hot oven ). 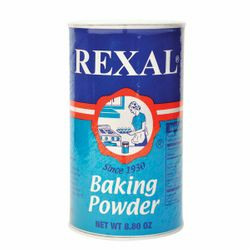 REXAL Baking Powder helps loosen and rise the dough by means of the CO2 that is released in the chemical reaction of the Sodium Bicarbonate (alkaline ingredient) with the Monocalcium Phosphate and the Sodium Aluminum Sulfate (acid salt). This chemical reaction takes place in two stages, which gives REXAL its double leavening action. At the first stage, during mixing the Monocalcium Phosphate reacts with the Sodium Bicarbonate, when moisture is present. In the second stage, when the dough is at the oven, the Sodium Aluminum Sulfate reacts with the Sodium Bicarbonate. 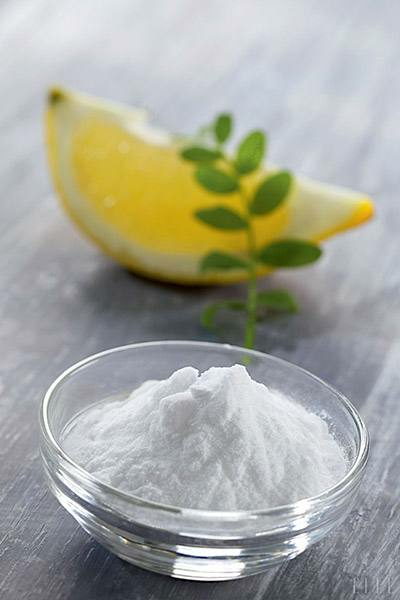 The Corn Starch and the Calcium Sulfate work like insulating elements that maintain the active ingredients separated, and they also standardize the Baking Powder�s strength. The final result is a more digestible, good volume baked product, with a smooth, tender and shiny crumb. Suggested use: Cakes, pancakes, muffins, buns, biscuits, cookies, hotcakes, waffles, tamales, empanadas, flour tortillas, and many more. El polvo de hornear REXAL se conoce en M�xico desde 1930, hecho con los mejores ingredientes. Sus principales usos en la cocina y reposteria son para: Pasteles, panqu�s, muffins, mantecadas, bisquetes, galletas, hot cakes, pancakes, empanadas, tamales, tortillas de harina y otros. Rexal ingredientes: Bicarbonato de Sodio, Sulfato de Aluminio y Sodio, F�cula de Ma�z, Sulfato de Calcio y Fosfato Monoc�lcico.